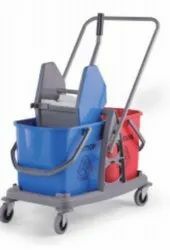 Providing you the best range of floor wiper double blade, lobby dust pan with aluminum handle, steel dustbin, soap dispenser, janitor cart trolley and flat microfiber mop with effective & timely delivery. 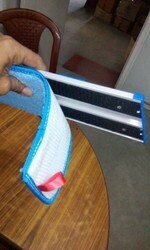 We are leading manufacture & supplier of Floor Cleaning Double Blade Wiper and Mops. Lobby Dust Pan with Aluminium Handle Good Finishing & Good Strength. 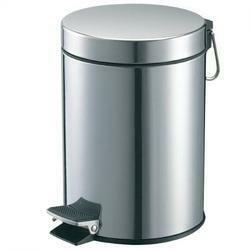 Staibless Steel Dust Bin Supplier of as for Requirment. 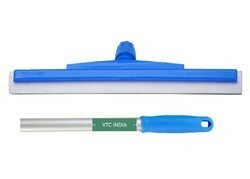 This is flat microfiber mop with break folding fram ( holder) or aluminium handle 145cm. 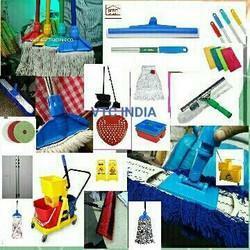 This is Damp Mop Microfiber with aluminium Holder & aluminium handle 145cm. Size availble 40cm, 60cm, & 90cm. 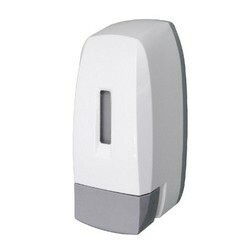 We are leading manufacture of all commercial cleaning products. High Grade Naylon Material Used Size 12mm thiknes and 10x15cm. 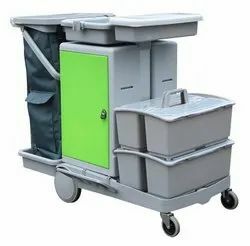 High Grade Housekeeping Room Service Trolley. 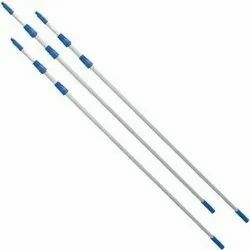 Aluminum telescopic pole 3mtr, 4mtr, 6mtr, 9mtr.